Many people with a stable internet connection now check their emails in an internet browser with a service like gmail or yahoo. 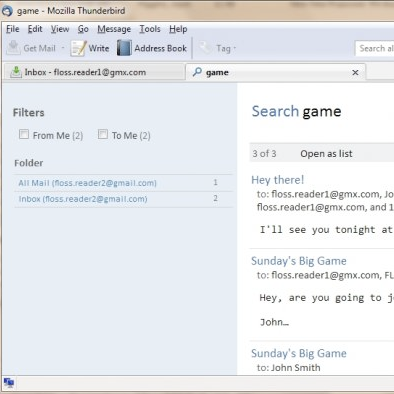 However, there are several advantages to using an email client rather than webmail. These include the ability to easily check mail from multiple accounts, to read and write email when you are not connected to the internet, and to access email on older computers more efficiently. Other advantages, including better security and tools for planning and events diaries, often rely on the many add-ons available for Thunderbird. Enigmail is an add-on which allows you to send encrypted email messages. By default email is sent in plain text but you can learn to use enigmail to allow you to send private email messages. This is very useful if you are part of a campaign or want to protect the privacy of your contacts. The Lighting add-on gives you the option of using an events calendar in Thunderbird. Shared calendars are very useful for organising remotely. You can also share and assign tasks, which is a simple way of managing a project. 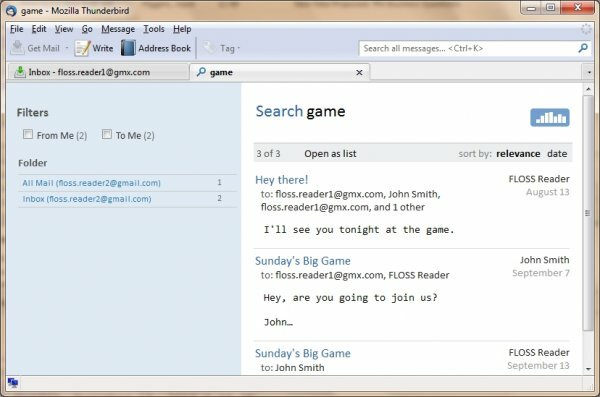 Check email efficiently on older computers and when there is limited internet access.